Midlife can sometimes feel like a time where nothing new happens and everything bad happens all at once. Your job can start to feel mundane and boring and yet your family life can be changing drastically (or vice versa). 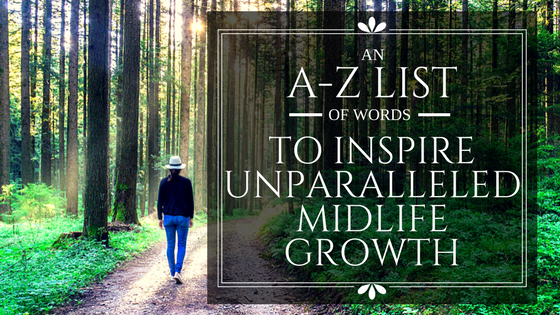 So today I am bringing you an A-Z list of words to describe the way things SHOULD be in midlife. If you’re reading through this list and any of these words don’t mesh with where you are in life, maybe it’s time to try something new. Read through this alphabet and let me know which word resonates with you the most. As we grow older, we often find ourselves thinking, “I can’t do that”. We think this way solely because of our past experiences and this sometimes causes us to act in a certain way for your family or your boss or your friends. Instead of hiding your true self, choose to be authentic by, first, rediscovering who you truly are and, second, showing the world the incredibly unique person that you are. If you are being authentic, then you should also be bold. Don’t be afraid to show the world who you are and what you can do. Boldly show the world that you have yet to do what you came here to do! At this point in your life, you’ve been around the block a few times, so be confident! You have a unique set of skills that you have been honing your entire life. Be confident in what you know and share your knowledge (and confidence) with the world. It is important to be determined to reach your goals. After all, you have yet to do what you came to this world to do. Think about what goals you have. 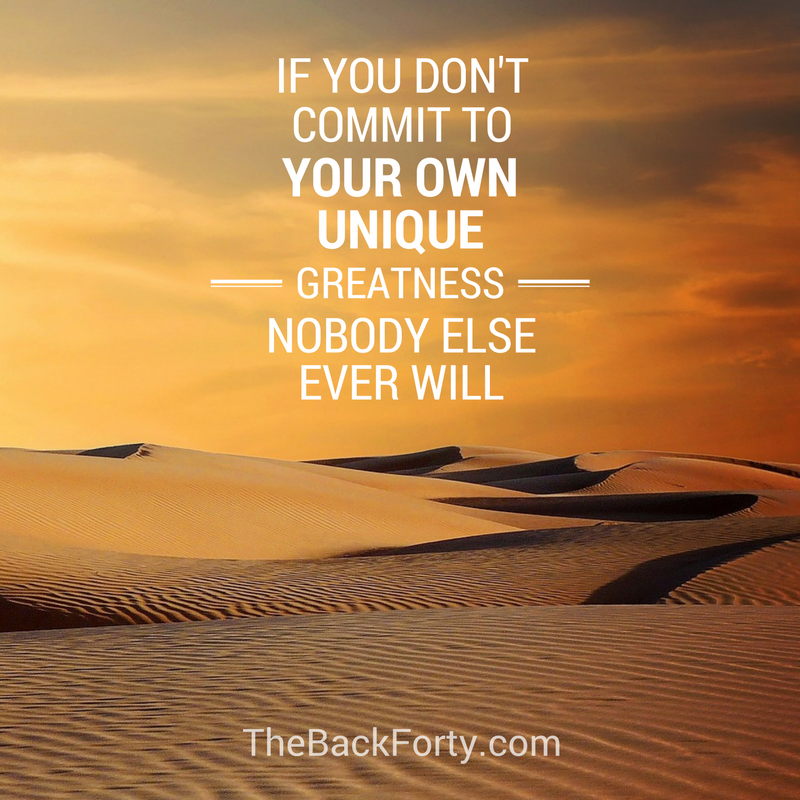 Have you been actively working towards achieving them? Or do you find yourself thinking, “one day”, “once the kids are out of the house”, or “after I retire”? I challenge you to commit to a goal and be determined to reach it. When was the last time you were truly enthusiastic about something? Is there something that you strongly believe in? When was the last time you shared that enthusiasm with others? Remember, enthusiasm can be contagious and if you believe in something deeply you should share your enthusiasm with those around you. The more we grow, the more we tend to keep our eyes focused on the past. We remember what we know to be true from the past. But we must also remember to keep an eye on the future. The best is still yet to come, and if we keep our eyes on the past, we just might miss it. Who has time to pretend to be what others want you to be? And, honestly, isn’t it better to be genuine anyway? When you are genuine, you pull others towards you. They say hope springs eternal. Well, I don’t know about you, but sometimes my spring seems to dry up. We need to remember to always stay hopeful. With each setback, we need to remember that we have these setbacks for a reason and that we will still achieve our dreams. We have the power to inspire others. We can inspire our co-workers, our family, our friends. The first step towards inspiring others is to be inspiring. Take on life wholeheartedly and never give up. You will achieve whatever you put your mind to and that is the most inspiring thing of all. Don’t let life get you down; and when it does get you down, don’t let it keep you down. There are hundreds of moments each day that can make us joyful – just as long as we choose to notice them. From the beauty of a sunset to the smile of a loved one, we have so many reasons to be joyful each and every day. No matter how many things may seem to be going wrong in your day, remember to pause and appreciate even the small moments that bring us joy. You have your own, unique set of gifts and talents that you have accumulated throughout your life. 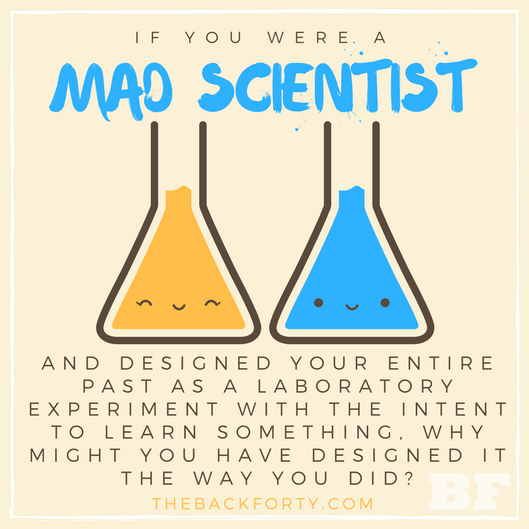 Some of these talents you have chosen to learn and others were forced upon you, but, regardless of how you learned these different skills, you now have this knowledge. Never forget that no one has the same accumulation of knowledge as you do – your unique experiences have made you valuable in a way that no one else is. Sometimes we need to be reminded to be playful. Stop taking life so seriously! Go out and have fun! Jump out of a plane, or go to an art show, try a new restaurant. It doesn’t matter what makes you lighthearted and playful – just remember to take some time to play from time to time. Life is too short to be serious. You have yet to do what you came to this world to do…and you are here to do something meaningful. Think about it. If each and every person on this earth decided to do one truly meaningful thing with their life, how much better would this world be? What are you passionate about? 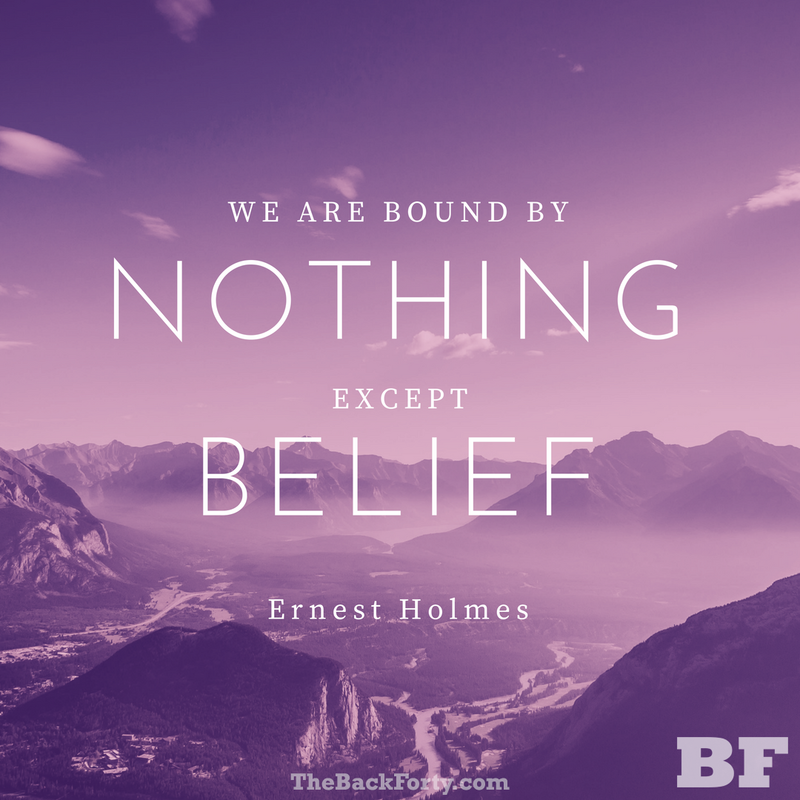 What have you been holding off on doing because you don’t quite believe you can achieve it? Your life is meaningful, and your legacy should be as well. We each have our own voice, sometimes we just need to remember to use it. Be outgoing. Be friendly. Be candid. The more you share your true self with others, the happier you will find yourself. This is one that I have held strong beliefs about for as long as I can remember. It is so important for you to be passionate about something. Anything really. I don’t care if you are passionate about feeding monkeys at the zoo – just be passionate! When your life is full of passion, it is full of meaning. I’ve always considered being called quirky a compliment. Quirky is defined as having unexpected traits and I feel that those unexpected traits are often the most powerful. Take a moment to think about what makes you quirky and you’ll often realize that those traits are also the traits that make you the most unique. Being radical is defined as “affecting the fundamental nature of something”. 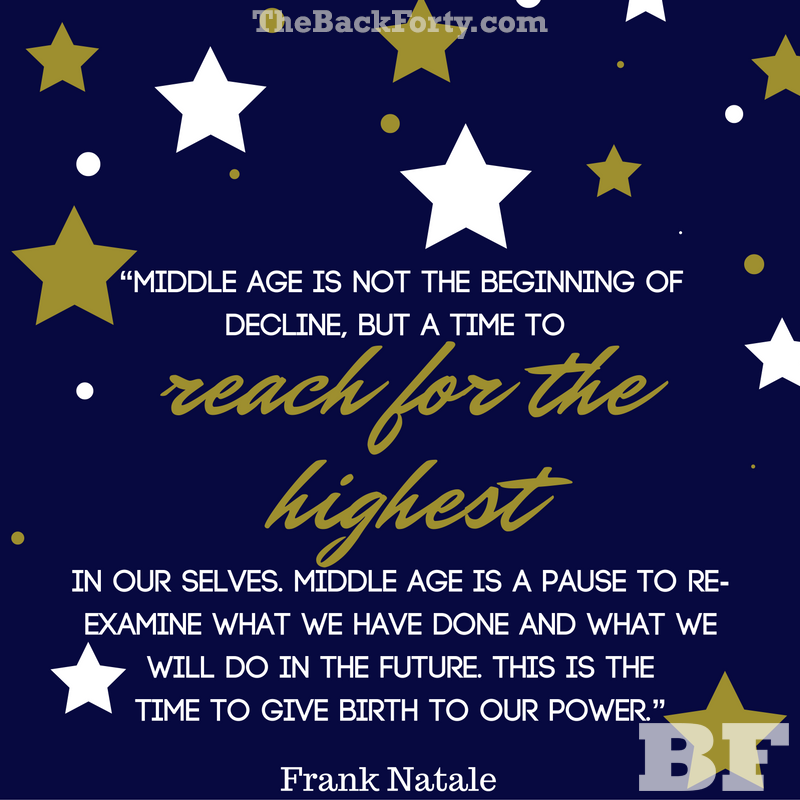 I feel that when we live our (mid)life to the fullest and prove that our best is yet to come, we are affecting the fundamental beliefs about aging. We are not destined to slow down and get boring as we age and I believe that viewpoint is still relatively radical. 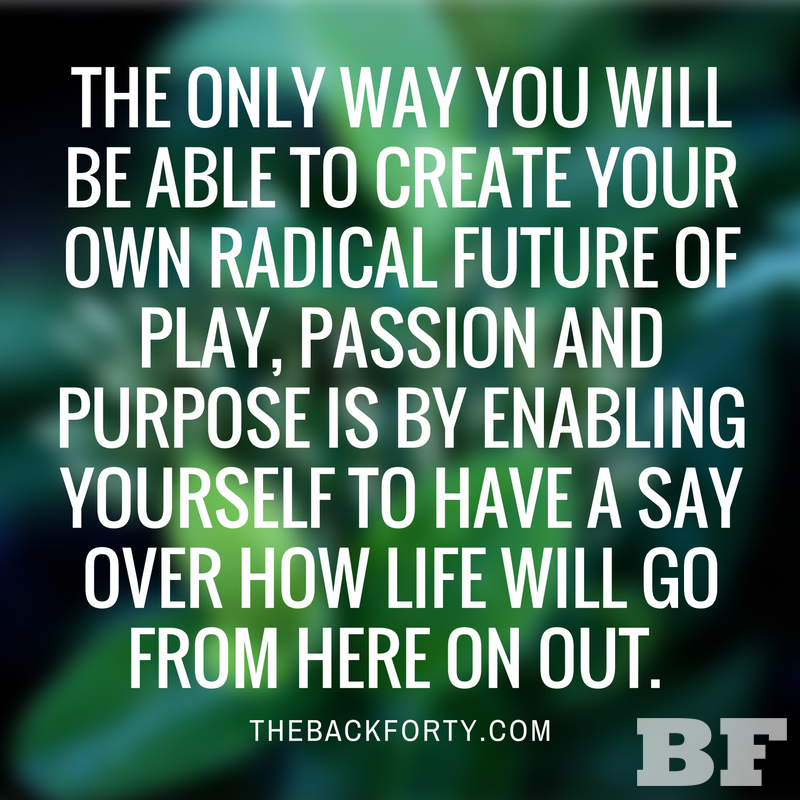 By living each and every day of our lives to the fullest, I believe we are all being radical. 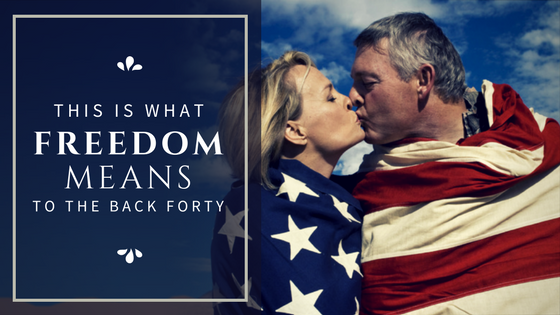 Being spirited is an important aspect of midlife (and life in general). When we live our lives being as full of enthusiasm, determination, and energy we are truly living life to it’s fullest. We are meant to not only survive but to thrive. So many of us just survive in our current situations while waiting for something better. Instead, decide to thrive. What does it mean to you to thrive? Now take the first step towards that. To thrive in your midlife, you must first decide to plan for the future instead of dwelling on the past. People who are winning life aren’t just improving their own life, they are also uplifting others. It has been proven that the more you uplift others, the happier you will be as well. People who give to charity and/or volunteer are over 40% more likely to be happy than those who don’t. This statistic holds true for those who express gratitude and help others as well. So do what you can to be happy and remember to uplift others. Be vibrant. Shine for the world to see. Be a little wild sometimes. Being the responsible one can get boring, and as we age we are often forced to be responsible more and more often. Not that being responsible is a bad thing, it is actually very important. But sometimes it is equally as important to be a little wild and let your crazy side show. Plan a night out and decide to be a little wild. I admit it took a little digging to find this one. Xenodochial (pronounced zeena-doh-key-ul) means to be hospitable. Making others feel at home is truly an art. When you can make your friends, family, and even strangers feel as if they truly belong, you are making the world a better place. I’m always hesitant when it comes to saying two words and those words are “young” and “old”. These definitions are becoming so circumstantial that I cringe when using them. But at the same time, let’s be honest, we are getting older. I believe being young-at-heart is part of what keeps us young even as we age. Remembering to embrace life through the eyes of the young helps us live life to the fullest. Becoming set in our ways helps no one. Finally, be zealous. Live your life with zeal and passion and it is almost guaranteed that your best is yet to come. You have so much life to live, now go out there and act like it! When working our way through midlife, it is easy to feel as if everything is going wrong. Your kids or moving out, or even worse, they’re not. Your parents are getting older and need more help. Your job is feeling stale but the stability makes you feel as if you couldn’t possibly leave. Your personal style is non-existent. Everything just seems so serious! The list goes on and on, and with all of these changes, no wonder why people in midlife tend to feel as if things are not the way they should be, or at least are not the way they want them to be. 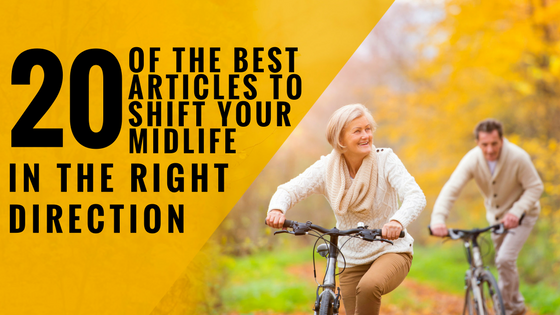 Therefore, I want to give you a list of some inspirational articles to help you shift your personal midlife experience in the right direction for you. I have 20 articles for you to explore and 7 topics to embrace. Enjoy! You want to see what is TRULY possible at your age (and beyond)? Check out this amazing woman by clicking here! Take on a new perspective when it comes to the physical signs of aging. Maybe start with your wrinkles by clicking here? Is one inspirational story not enough? Here are five more for you. Most importantly, realize the (un)importance of the word OLD. I think being “old” is the best and maybe you will too after reading this. You can find a lot of advice out there about how to dress your age, especially with articles about how to dress after 40 or 50 or 60. Well, this article will tell you the only thing you ACTUALLY need to know about dressing your age. Have you given up on taking care of your skin? Maybe it’s time to take another look. Speaking of skin, did you know there is makeup specifically formulated for women in midlife and over? It’s pretty unique, plus they make online tutorials so anyone can use their products. And speaking of tutorials, there is a YouTuber who posts inspiring and useful content on how to feel beautiful as you age. Check her out here. So we’ve talked about clothing, skin, makeup, and general style. What’s left? What about your hair? This is an article that will help you “go gray with style” step-by-step. If you have ever considered stopping to dye your hair, this article is for you. 3. Don’t Forget About Your Brain! This article gives you two easy and free ways to keep your brain active by spending 5 minutes a day playing games on your phone. It even has some extra free bonuses! Do you ever wish you had some extra income? I’m pretty sure everyone has. This article gives you 5 easy ways to earn some extra cash in your day-to-day life. Here are five inspirational articles to remind you to believe in yourself above all else (chances are at least one article will speak to you). Sometimes life just feels hard. That’s why this article compiled with 25 life hacks perfect for midlifers. Which one is your favorite? Another way to make midlife easier? Download these apps. With all of the serious issues surrounding this part of life, it is easy to get stuck in a very serious viewpoint. This article has a video which gives you just enough perspective to get out a giggle or two. Here is another article with a video designed to make you laugh. Relationships are never easy but this video puts a funny spin on the subject of shopping for your wife. Now that you’ve made your way through my seven topics and 20 articles, I hope that you feel a little lighter, a little more beautiful, and way more inspired! About a month ago, The Back Forty took part in the California Women’s Conference (or CWC). Building up to this event we frantically worked to create the perfect presence. We finalized our first online course, published our first Back Forty journal, and created countless banners and flyers. We didn’t know what to expect walking into that exhibit hall, but we had dreams of the contacts we would gain through our raffles and giveaways, the books we would sell, and the contacts we would make. Little did we know that another aspect of our booth would be the most rewarding. At our booth, we had a small recording studio set up. We were thinking that we would interview a few people about the passions they discovered while traveling through midlife. We had no idea how big a role this would end up playing at the conference. We were thinking that we would complete 15-20 interviews each day, lasting about 5 minutes each. What we weren’t expecting was to be so inspired by the stories of finding one’s passion and the joy of sharing that passion with others. We ended up conducting about 30 interviews over the two-day conference, but the average video ended up lasting 15 minutes. Suddenly, our expected 3 hours of content became over SEVEN AND A HALF HOURS. Walking into the event, we had no idea the type of passion and joy we would find in those we interviewed. Now, not only have we had the chance to interview amazing people, but we have been given the opportunity to share these inspiring stories with the world. We have decided to turn these inspiring interviews into an online program aimed at inspiring others to create their second half of life as their best half. Now, this course is not ready to be released yet, but I have put together a short video with some excerpts from our two days of interviewing. Today I want to inspire you to become happier. Everyone needs a little pick up every once and a while and today I am sharing with you 100 ways to make your day full of a little more happiness. So, without further ado, let’s get happy! Do you have a pet? Go get a hug! If all of these happiness-inducing ideas aren’t enough, I have decided to start giving you something a little extra each time I write a new post. As we grow older it sometimes gets easier to focus on our significant other’s faults instead of their virtues. Pet peeves slowly become intolerable and your relationship becomes more routine and boring. Where did all that happiness go? It’s not that the happiness is gone, but rather that you have stopped nurturing the happiness. When was the last time you did something special for your significant other just to show them how much they are loved? Chances are, all of us could do special things for those we love more often. But what am I supposed to do? I hear you asking. 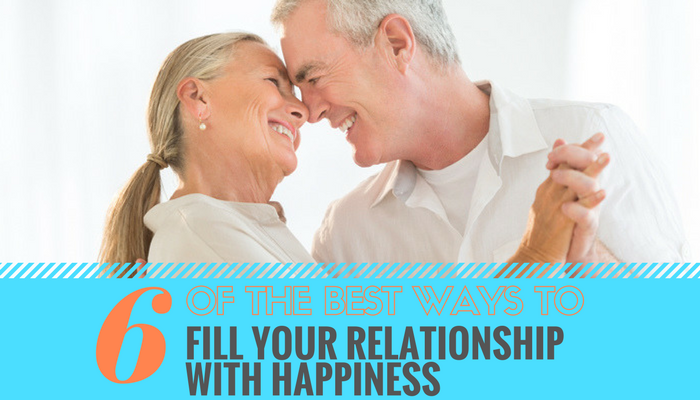 Look no further because I have compiled my list of the top six ways to fill your relationship with happiness by showing your love. This might sound counterproductive but let me explain. Does your husband love watching a certain sport? Does you wife have a favorite TV show? Chances are, there is something on TV that you hate as much as your significant other loves. Well, I’m here to tell you that there is a way to turn these experiences into loving gestures. Order your significant other’s favorite delivery food (Pizza? Chinese? Mexican?) and schedule to have it delivered right before your husband or wife’s show starts. About 30 minutes before their show begins, say that you are going to bed, or another room, or whatever you normally do to avoid watching this show. Once you leave, send your significant other a text telling them that their favorite food is on the way, to enjoy their show, and that you love them. Tah-dah! Suddenly, avoiding something you hate has been turned into a romantic gesture. Do you get home from work before your significant other? Maybe you wake up earlier than them? Go to bed after them? Chances are, you are “alone” at home at one point or another throughout the week. Turn this into a chance to show your love. What part of the house gets messy the fastest? The kitchen? The living room? Pick a room, and clean it before your significant other gets home. Not only will they notice, chances are they will also appreciate it and feel the need to reciprocate at some point. This one is my favorite idea by far. Think about something that you request from your significant other on a regular basis. Do you ask them to stop at the store on their way home? Grab you something from the other room? Cook dinner? Walk the dog? Now’s the fun part, you get to turn that mundane obligation into an exciting surprise. Ask them to do the obligation and then surprise them with a fun activity. Ask them to grab some cheese from the grocery store and then surprise them in the cheese isle with plans to go on a hike and have a picnic. Or ask them to grab your glasses from the other room and then have tickets to the movies or a museum next to your glasses. Ask them to cook some pasta for dinner and then have a giftcard or reservations for their favorite restaurant waiting for them next to the pasta. It is entirely up to you on how simple or extravagent these surprises are. The important part is that you are turning something they don’t enjoy doing into a fun experience for both of you. This might seem like a relatively simple concept, but when was the last time you actively planned a date on your own? I’m not talking about deciding that you need a night away from the kids and planning something together or deciding that neither of you want to cook and going out for dinner. I’m talking about taking at least 30 minutes on your own to choose something to do together and booking the neccessary tickets/activities. Plan to take a weekend getaway, go to the zoo, or even just make a dinner reservation. Have you ever heard of the “magic ratio” discovered by psycholigist John Gottman? He says that there is actually a ratio of positive to negative comments in a relationship that can pretty much guarantee a stable relationship. What is this ratio? For every negative comment you make to your significant other, you should make five positive comments. So think about it, what is your current ratio? How often are you saying “I love you”? How often do you tell your significant other that you appreciate them? Now, how often are you complaining? The longer we are in a relationship, the easier it is to take the positives for granted and become more frustrated with the negatives. This can cause our ratios to get completely out of whack. So what am I suggesting you do? Figure out what your current ratio currently is, and then work towards that 5:1 ratio. Start with just a week and see the difference that it makes in your daily interactions when you try to stick to the ratio. Chances are, you will both become happier. Pet peeves. We all have them. And we all have pet peeves about our significant other. Maybe they leave the toilet seat up, or they leave their clothes all over the bedroom floor. Chances are, by this point you are thinking about your biggest pet peeves about your significant other. Well, stop! Think about your significant other’s pet peeves about you instead. You know what they are. Now, actively try to stop all of those habits. Start with just a day and see how long you can make it last. I’m not saying that you change forever, but make an effort and your significant other will notice. With all of these new ideas, I know you can actively bring happiness into your relationship. 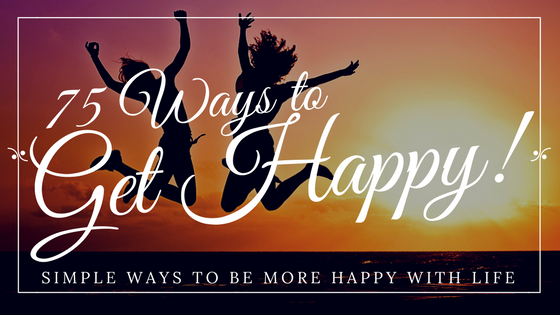 Because, after all, who doesn’t want to be happier? Your relationship is important and worth the time it will take to strengthen it. Even if your relationship is already stable and relatively happy – these six tips can bring even more happiness into your relationship. Do you have any other examples of special things you do for your significant other to bring more happiness into your relationship? Tell me your favorites in the comments below! I don’t know about you, but most Saturday mornings I need a little inspiration to get me going. After all, if you’re not careful, it is easy for the weekends to get away from you. So, today I am going to help inspire you to make the most out of not only your weekends but your life! 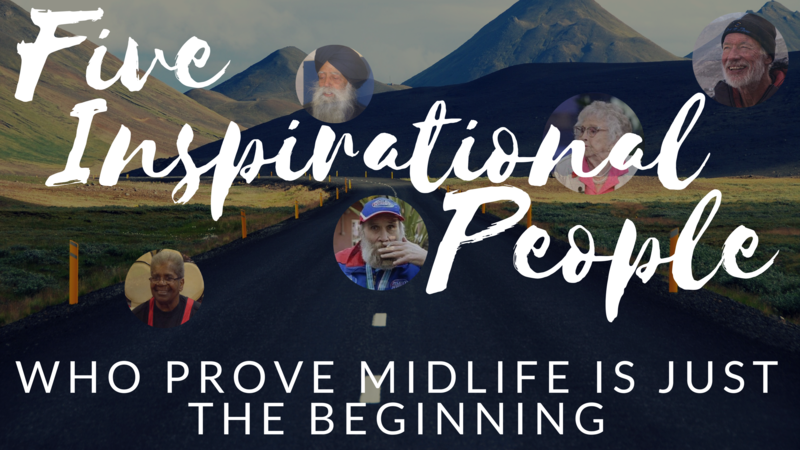 Here are 5 inspirational people who decided that they had yet to do what they were here to do in midlife and beyond (plus a bonus)! 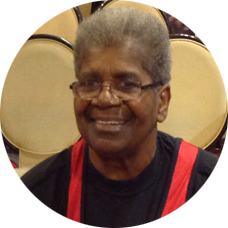 Winifred currently holds the World, National, and State records for single lift bench press for her age group and weight class. At the age of 47 she was dangerously obese and decided to make a change. By the age of 68 she had set world records for bench press (lifting 176.2 lbs) and deadlift (lifting 270 lbs). She is now a proud great-grandmother of 3 and healthier than she’s ever been. Buster claimed to be the United Kingdom’s oldest employee. He worked for Pimlico Plumbers in London and even refused to take a day off on his 100th birthday! According to Buster, he was born in 1906 and continued working until he died at the age of 104 in 2011. If that isn’t a dedicated employee, I don’t know what is! Fauja is the first 100-year-old to finish a marathon. He also accomplished eight world running records for being the oldest man to accomplish each record in ONE DAY. He is currently 105 years old and living in the UK. He ran between the ages of 89 and 101. Why so late in his life? A tragedy led him back to it. He witnessed the death of his fifth son in 1994 and decided to return to his passion for running. He began training and started running international marathons at the age of 89. 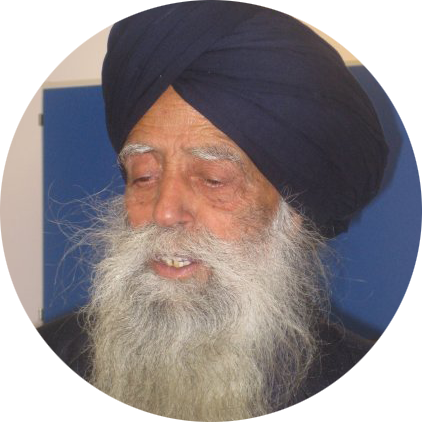 At the age of 93 he completed the London Marathon 58 minutes faster than the previous world record. Eight full marathons after the age of 89? Pretty impressive if you ask me. Dorthy was a stand-up comedian starting in 1916. She thought she would never become famous until she got the chance to perform on the Tonight Show at the age of 100 in 2011! After that, she decided that she was never too old to achieve what she wanted to do. 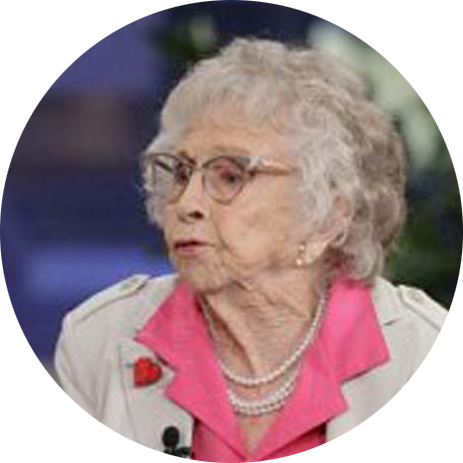 She performed on the Tonight Show again in 2012, for her 101st birthday she ziplined the Snake River Canyon, and for her 102nd birthday she base jumped off the Perrine Bridge into the Snake River Canyon and became the oldest base jumper in the world. 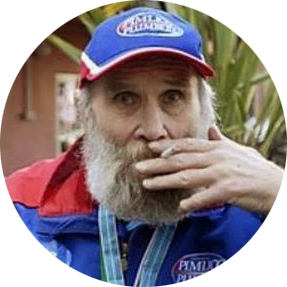 Werner is the oldest person to climb the highest mountain on each of the seven continents. 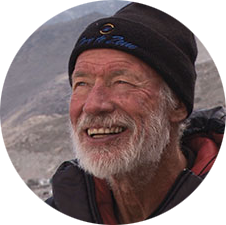 He climbed his first mountain on the list in 2002 at the age of 64 and completed the last mountain on the list in 2013 at the age of 76. How many people do you know who have climbed Mount Everest? Not to mention at the age of 69! 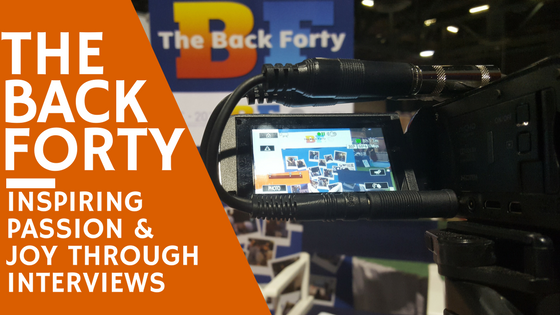 To learn more about Werner, see his Facebook Live interview with The Back Forty Co-Founder, Darrell Gurney, by clicking here! Meet Tao. She is the world’s oldest yoga teacher at the age of 98! She is pretty amazing. So amazing, in fact, that I wrote an entire blog post about her a few months ago. Click here to find out what makes Tao so special! Hopefully, that is enough inspiration for you today. 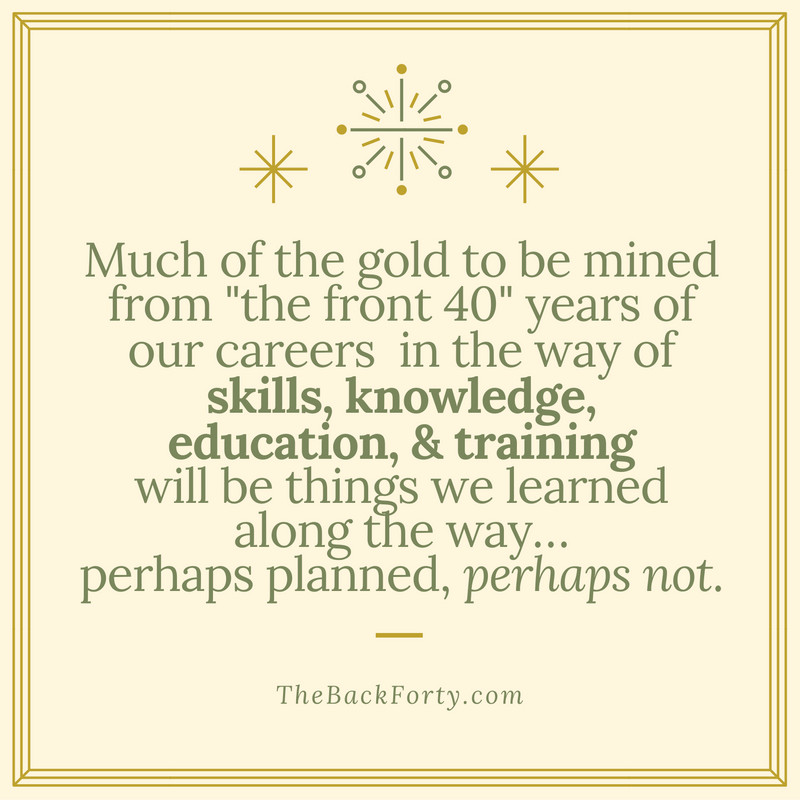 After all, as we say in The Back Forty, “You have yet to do what you came here to do!” So, what is it that your second half of life has in store for you? Are You Ready to Look Fabulous Forever? Today I want to share with you a company I found called Look Fabulous Forever. This company is all about “celebrating the beauty in older faces”. Their philosophy is that age is not a barrier to looking fabulous and, to prove that, they create makeup that is formulated specifically for mature faces. 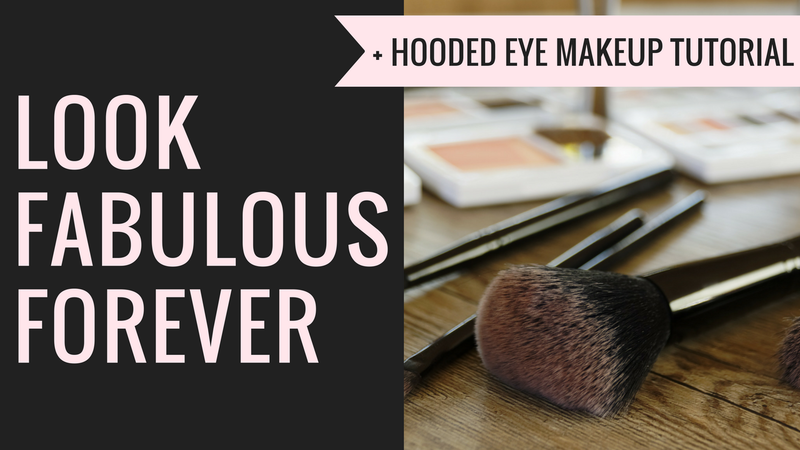 Are you interested in learning more about Look Fabulous Forever’s makeup line? Explore their line and if you find anything you like you can get 20% off your first offer by clicking here and using the discount code FRIEND20! Did you miss the live webinar? Don’t worry – you can still catch the replay here! 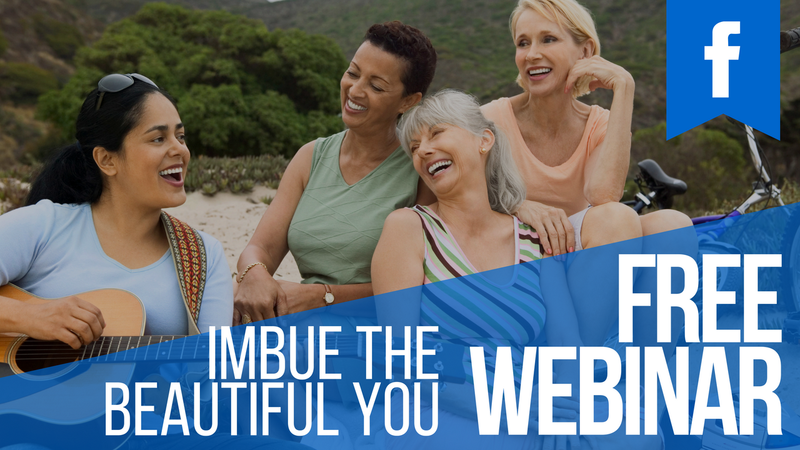 Join Alexandra Levin, Co-Founder of The Back Forty and Caren Taubman Glasser Founder of The Little White Lie for a live co-creation webinar of “IMBUE Your Beautiful You”. This beauty “town hall” will take place today (Tuesday, March 21) at 2:30 pm PST on Facebook Live (you can RSVP here). We invite you to join not only to hear our ideas of how to “IMBUE Your Beautiful You” but to get yours! Our program is in development, and we need your input! Come join us to co-create this work, and let’s enjoy the freedom it offers together. Either before, during or after the webinar we would love to get your feedback on our program by filling out the survey here (we also have some freebies to give away if you complete the survey). RSVP here by clicking the reminder button and we look forward to seeing you soon! Today I found a new YouTube vlogger that I have absolutely fallen in love with. 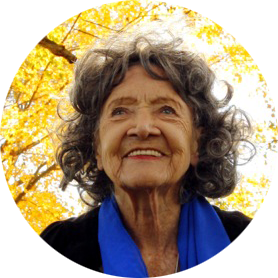 She creates tons of wonderful content surrounding the conversation of aging and how to feel beautiful while doing it. However, my favorite video series of hers is The Aging Woman and in this video series, she covers everything from fashion and exercise to friendships and marriage. Today I am going to share a few of my favorite (initial) videos of hers that I am loving and maybe you will love them too! This is the perfect example of what Melissa is all about. She uses her own experiences from finding her way through midlife to help other women abandon the stigmas surrounding aging and beauty and really embrace themselves. So, if you’ve watched the video, what’s your style and how has it changed as you have moved through midlife?